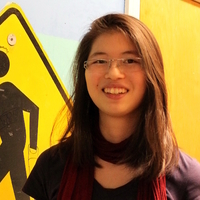 Cathy Wu holds a PhD in Electrical Engineering and Computer Sciences (EECS) from UC Berkeley, where she worked with Professor Alexandre Bayen and was a member of the Berkeley Artificial Intelligence Research lab, Berkeley DeepDrive, California PATH, and the Berkeley RISELab. She will be joining the MIT faculty in 2019. She develops principled computational tools to enable reliable and complex decision-making for critical societal infrastructure, such as transportation systems. Cathy received her Masters and Bachelors degrees in EECS from MIT. Her work was acknowledged by several awards, including the 2016 IEEE ITSC Best Paper Award, the 2016 Rising Stars, and the 2017 ITS Outstanding Graduate Student Award. Her leadership, in particular as the Research Lead of the Learning Traffic Team at Berkeley, was recognized by numerous awards and invitations, such as the 2017 IEEE Leaders Summit, as an inaugural member of the ACM Future of Computing Academy, and multiple NSF early-career investigator workshops on cyber-physical systems. She is the recipient of several fellowships including the NSF graduate fellowship, the Berkeley Chancellor's fellowship, the NDSEG fellowship, and the Dwight David Eisenhower graduate fellowship. Throughout her career, Cathy has collaborated or interned broadly across fields, including electrical engineering, computer science, civil engineering, mechanical engineering, urban planning, and public policy, and institutions, including OpenAI, Microsoft Research, the Google Self-Driving Car Team, AT&T, Facebook, and Dropbox. As the founder and Chair of the Interdisciplinary Research Initiative within the ACM Future of Computing Academy, she is actively working to create international programs to facilitate interdisciplinary research in computing.